We want to use this opportunity to inform all our readers, friends and well wishers that Olumuyiwaolayinka.wordpress.com is one year and as part of activities marking this milestone, we have decided to create a bigger and more robust website to give you that reader’s experience you deserve. Dear reader at about 11.00pm West African Time (WAT) GMT+1 we migrated from Olumuyiwaolayinka.wordpress.com to olumuyiwa.com.ng platform. Most importantly, we thank you for believing in us and the content which we deliver. A lawyer to the whistle-blower that helped in the recovery of $43.5 million, £27,800 and N23.2 million at No. 16 Osborne Road, Flat 7B Osborne Towers in Ikoyi, Lagos, has said his client is yet to be paid his due reward five months after a court ordered a final forfeiture of the money.Reacting to a claim by the Economic and Financial Crimes Commission that his client is now a millionaire, the lawyer, Yakubu Galadima, told PREMIUM TIMES on Friday that several efforts to get the money have been unsuccessful. “The truth is that this guy has not been paid a penny,” Mr. Galadima said. The Nigerian government in December 2016 adopted a policy on whistleblowing to encourage citizens to report financial and other related crimes to relevant authorities. According to the policy, whistleblowers whose revelations lead to the recovery of money are entitled to as much as five percent of the recovered sum. Since the introduction of the policy, the government has recovered about N17 billion, according to the EFCC. Some of those monies had been recovered from LEGICO Plaza in Victoria Island, Lagos; the luxury apartment in Ikoyi; a building in Kaduna belonging to Andrew Yakubu, a former Group Managing Director of the Nigerian National Petroleum Corporation; among others. Last June, the Nigerian government announced it had released about N375.8 million for payment of 20 whistleblowers who provided information for the recovery of over N11.6 billion. On Wednesday, while speaking at the 7th session of the Conference of State Parties to the United Nations Convention Against Corruption, Ibrahim Magu, the EFCC acting chairman, said the individual who helped uncover the Ikoyi apartment money had become a millionaire. According to the lawyer, the Ikoyi whistle-blower accompanied by friends had approached him in early April this year to inform him about their suspicion of a huge amount of money stashed away in one of the apartments at the Osborne Towers. “In fact, what came to their mind was to go and burgle the place since they know the security network of the house,” said Mr. Galadima. “I was the one that advised them that, you don’t do that because that will amount to crime. That since there is a policy of the federal government, let us exploit that avenue. “I took them, we went to the Commission, discussed with them, they said they were going to give the boy a form to fill and that if the story turns out to be false that the guy will go to jail. We said no problem, we undertook and we signed. In April, the EFCC headed to a federal court in Lagos seeking for the forfeiture of the money to the Nigerian government and, in June, Justice Muslim Hassan ordered a permanent forfeiture of the money to the government. The judge had earlier granted an interim forfeiture giving 14 days for anyone interested in the funds to appear before it and show reason why the money should not be permanently forfeited to the federal government. Nobody appeared before the court to claim the money. “The moment the final forfeiture was made, I wrote a comprehensive letter to Magu, attaching the judgement, and said court has made a final forfeiture, where is the reward and commission of the whistleblowers?” Mr. Galadima continued. “In fact, the letter was addressed to the Acting President then through the Office of the Acting Chairman since the money was recovered by the EFCC. That was the first letter. “A month later, I wrote a reminder. It was after that reminder that they said we should bring the boy to Abuja. We took the boy to Abuja, he had one on one interface for the first time with the acting president. We went together with the acting chairman. Mr. Galadima said while he was out of country on vacation, his client contacted him on the phone and told him about receiving threats to his life. “The day we went to the office of the acting president, they gave him a number that he can reach them at any time. So he has been communicating with the acting president. Following the threats, they detailed some SSS to be working around him,” the lawyer said. The whistle-blower was later taken to the SSS facility at Shangisha, Lagos, and given an apartment. “Because the guy had always been looking forward to see(ing) this money and it wasn’t forthcoming, he started shouting. When he started shouting, they said he’s mad, that he’s having a mental problem. On getting to the Commission’s office, Mr. Galadima said he was informed of his client’s mental illness and plans to take him to the Federal Neuro-Psychiatric Hospital in Yaba. “I said he’s not mad, that it’s because you people are holding his money that’s why he’s reacting this way. They insisted the guy is mad, that they have to take him to a psychiatric hospital, they bundled this man. I said ok, if that’s how to prove that he’s not mad, no problem, we went to the psychiatric hospital in Yaba. Phone calls and text messages to Wilson Uwujaren, the EFCC spokesperson, were not answered. The phone lines of Laolu Akande, the Senior Special Assistant to the vice president, Yemi Osinbajo, did not go through. On October 12, Mr. Galadima wrote to President Muhammadu Buhari seeking the prompt payment of the commission due to his client. “I have written twice while you are away receiving treatment to the Acting President through the office of the Acting Chairman of the EFCC on 7th June 2017 and 24th July 2017 respectively,” Mr. Galadima stated in a copy of the letter he made available to PREMIUM TIMES. Mr. Galadima said that contrary to media reports that his client’s commission is N350 million, the correct figure is N850 million. President Buhari presented the Budget estimate for 2018 fiscal year on Tuesday 7th November, 2017 to the joint sittings of the National Assembly. He presented a N8.613 trillion 2018 Appropriation Bill. The amount represents a 16 % increase over the N7.44 trillion for 2017. The balance of N306 billion to be financed from proceeds of privitization of non oil assets by the Bureau of Public Enterprises. It is heart warming that Mr President presented this budget on time. It shows a more radical departure from late presentations. The President acknowledged the fact that the current budget was passed in June this year, leading to low implementation of the 2017 budget. 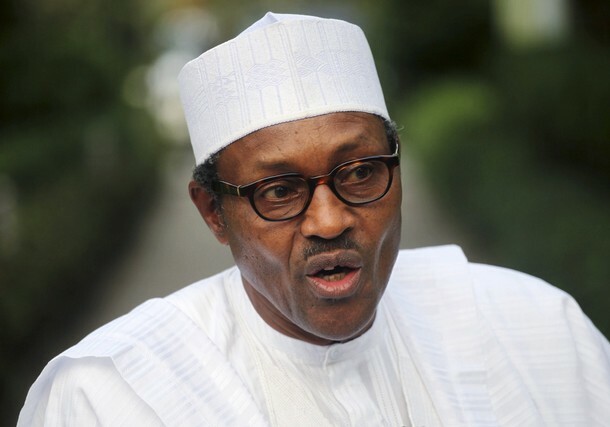 By presenting it earlier, the President hopes to maintain January – December financial calendar. Just like 2017, the current budget still operational, the government allocated large chunk of money to the Ministry of Powers, Housing and Works. It is gratifying that 30.8 % of the budget is committed to capital expenditure. It means that government wants to spend more on critical sectors to reduce poverty and stimulate the economy. But sadly, most on going projects are yet to be completed, almost three years of this administration. Though tagged budget of consolidation, we are looking forward to seeing projects being consolidated and completed. The year 2018 is very critical to the nation, because, this is the final phase of this government before the general election of 2019. This government has recorded dismal performance in delivering critical projects like roads, railways etc. The recession is continuing to bite harder. It is germane that the performance of this budget will determine its overall success. This is an ambitious budget, with some of the indices of 12.4% inflation rate, when the current rate is 15.3%. The government is silent on the interest rate. But the interest and inflation rates guides investors to invest in the economy. The exchange rate of N305 is still higher in the real sense of it. Currently, the oil spot price is $65 per barrel, benchmarking it at $45 per barrel could be dicey. Although the crises in the Middle East could push up the price higher later on. There is relative peace in the Niger Delta, but the government has to take the recent threat by the Niger Delta Avengers seriously, and ensure practical steps are taken to stem the rising tension in the Niger Delta. It is noteworthy that the Federal government is making efforts to diversify its portfolio form oil revenues. Thus planning to increase its tax receipts, customs duties and other non oil sources. In the presentation of the budget, the government banned fresh recruitment by all Federal Government’s MDA except by presidential approval. According to Mr President, it is a way to curb the rising personnel cost that is expected to increase to 12% in 2018. The danger with this budget is that critical infrastructure will be financed basically by public funding and not much more is expected from the private financing. Counter part fundings in the building of railways and Mambilla power projects is in the pipeline, but more of these should come on board. Government could encourage more through PPP (Private Public Partnership) and concessions of major critical sectors to foreign investors. Furthermore, it listed privitization of non oil sectors, as a source of generating more revenues. It means the federal government is not yet ready to commercialize the state oil monopoly (NNPC). We were treated to the approval of contracts of $25 billion without due process at the NNPC. If this government can muster political will to commercialize NNPC, it will make more transparent and usher more inflow of petrol dollars to the economy. This government is not committed to privatizing many state owned agencies. By its performance, many public utilities are still being controlled and funded with public funds. It is impracticable how it will generate almost 50% of its budgets from other sources. It is creditable this budget came with a budget deficit of N2.005 trillion, a drop from the N2.36 trillion contained in the 2017 budget. Sadly, the government have plans to borrow from external sources to finance budget deficit. It committed N2.014 trillion i.e. 23% of its budget to servicing of debts. Recently, the federal government wrote the National Assembly seeking approval to borrow $6.5 billion from external sources. We must tread cautiously of not going through this dangerous path of getting the nation trapped into debt crisis. Be that as it may, this Budget estimate has to go through the rigors of legislative works. The National Assembly promoted a bill “Organic Budget law” that is going through legislative fine tuning. If passed into law, it will facilitate accelerated and seamless passage of budgets with timelines and specific responsibilities to various committee. I hope the National Assembly will give it utmost urgency it deserves. This country should not be treated again to odious Budget padding or loss of national budgets. The bane of our country is implementation and keeping to the intents and letters of the budget estimates. If proper implementation is not adhere to, the whole exercises will just be a mere annual ritual and pure academic exercise. Many may be wondering how rats could chase the President of Nigeria out of his office. But it is the truth. Following the medical vacation embarked upon by President Buhari to London, rats invaded his office and destroyed furnitures and cabinets. “Following the three months period of disuse, rodents have caused a lot of damage to the furniture and the air conditioning units,” he had said, explaining that it was impossible for the President to operate from the office in that condition. Although he said he could not tell when the renovation would be completed, the presidential spokesperson had stated that the maintenance company had been asked to speed up its pace of work. Renovation works had been carried, and the good news is that 81 days after Buhari returned, President Muhammadu Buhari on Thursday finally returned to his main office inside the Presidential Villa, Abuja. The President inaugurated the Armed Forces Council inside one of the halls located inside the main office. He then proceeded to preside over a meeting of the council. The President’s Personal Assistant on New Media, Bashir Ahmad, confirmed the resumption on his Twitter handle, @BashirAhmad. 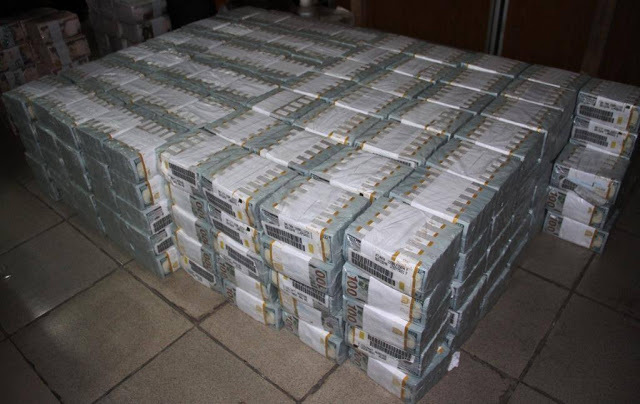 Do you remember the amount of money recovered by EFCC at the Ikoyi Osborne Flat in Lagos? I need to refresh your memory ($43 million, £27,000, N23 million). The whistle blower will be swimming in money if at least, he’s given 1% of the value of money recovered by going by the revelation of EFCC. The Economic and Financial Crimes Commission (EFCC) says the “young man” who blew the whistle on the massive stash of money recovered from an apartment in Ikoyi, Lagos, is now a millionaire.The acting chairman of the commission, Ibrahim Magu, stated this in Vienna, Austria, on Thursday, the spokesman of the EFCC, Wilson Uwujaren, said in a statement. Mr. Uwujaren said Mr. Magu spoke at the ongoing 7th Session of the Conference of States Parties to the United Nations Convention Against Corruption. Mr. Uwujaren quoted Mr. Magu as saying that the whistle blower was already a millionaire by virtue of the percentage he was officially entitled to. Do the arithmetic now and you will surely be amazed the staggering figure you will get. Man I need this kind of money at this recession period. How about you too? Education is key, it is important. Because of its importance, it is not an easy venture coupled with rising cost of educational materials. In Nigeria, there are publicly funded and privately funded tertiary institutions. The publicly funded ones are more cheaper than the privately funded ones. So before you chose your choice of institution, it is better to know how much they are paying as fee. You might apply for admission into any University and finds out that the tuition fee is above what you bargain for. Because of that, we have list all the Nigerian Universities and their school fees for 2017. Takemeto Naija, did a thorough job in helping us to choose wisely the pocket friendly ones. Ahmadu Bello University (ABU) is a federal government research university located in Zaria, Kaduna State. ABU was founded on October 4, 1962, as the University of Northern Nigeria. The university operates two campuses: Samaru (main) and Kongo in Zaria. There is also pre-degree School located in Funtua few kilometres away from main campus owned by the university. The Samaru campus houses the administrative offices, faculties of; sciences, social-sciences, arts and languages, education, environmental design, engineering, medical sciences. agricultural sciences and research facilities. The Kongo campus hosts the faculties of Law and Administration. The Faculty of Administration consists of Accounting, Business Administration, Local Government and Development Studies and Public Administration Departments. Additionally, the university is responsible for a variety of other institutions and programs at other locations. The University of Ibadan (UI) is the oldest and one of the most prestigious Nigerian universities, and is located five miles (8 kilometres) from the centre of the major city of Ibadan in Western Nigeria. Besides the College of Medicine, there are now eleven other faculties: Arts , Science, Agriculture and Forestry, Social Sciences, Education, Veterinary Medicine, Technology, Law, Pharmacy, Public Health, and Dentistry. The University has residential and sports facilities for staff and students on campus, as well as separate botanical and zoological gardens. The Federal University of Agriculture Abeokuta, Ogun State, or FUNAAB, (FUNAAB) was established on 1 January 1988 by the Federal Government when four universities of technology, earlier merged in 1984, were demerged. This led to the creation of the first two universities of agriculture in Abeokuta and Makurdi. The university is one of the three universities of agriculture in Nigeria, the other being in Makurdi (Benue State) and Umudike (Abia State). The university started at its mini-campus in Isale-Igbein in the heart of Abeokuta, the capital of Ogun State. In December 1997 it moverd to its permanent site on a 10,000-hectare campus which is located next to the Ogun-Oshun River Basin Development Authority on the Abeokuta-Ibadan road in the North Eastern end of the city, 15 km from Abeokuta City Centre. Bayero University Kano (BUK) is a university situated in Kano, Kano State, Nigeria. It was founded in 1977, when it was renamed from Bayero University College and upgraded from university college to university. It has Faculties of Agriculture, Arts and Islamic Studies, Education, Engineering, Law, Medicine, Science, Earth and Environmental Studies, Pharmacy, Social, Management Science and the recent Faculty of Computer Science & Information Technology. Research Centers include: Center for Dryland Agriculture, Center for Biotechnology Research, Center for Renewable Energy and Center for the Study of Nigerian Languages among others. The University of Calabar – also known as UNICAL – is a university situated in Calabar, Cross River State, southeastern Nigeria. It is one of Nigeria’s second generation federal universities. The University of Calabar was a campus of the University of Nigeria until 1975. The architecture was designed by John Elliott. It was established by decree to fulfill this traditional mandate, its motto “Knowledge for Service”. The male students are known as Malabites, while the female students are Malabresses. The male hostel is called Malabo. This was a result of challenges faced by the students at a time which coincided with the suffering experienced in Malabo by Nigerian deportees from Equatorial Guinea (whose capital is Malabo) at the time. The University of Abuja in the Nigerian capital Abuja was established on January 1, 1988 (under Decree No. 110 of 1992 as amended) as a dual-mode university with the mandate to run conventional and distance learning programmes. The Law Faculty being the pride of the University of Abuja, is known for having one of the most Organised Student Representative Councils (LAWSAN) in the Country. The university has its mini campus in Gwagwalada, Abuja, Nigeria and a permanent site covering about 11,824 hectares located along the Kaduna – Lokoja – Abuja Road. The Permanent site is home to the Faculties of Arts, Science, Management Science Veterinary medicine, Agriculture and Engineering with the College of medicine and contains the university senate and other administrative building. The mini campus is still the temporary location to the Faculties of education social science, and law. Federal University Dutsin-Ma built by the administration of President Goodluck Ebele Jonathan was founded in February 2011 and is located in Katsina state. The school has eight faculties which include: Faculty of Agriculture, Faculty of Arts, Faculty of Education, Faculty of Engineering & Technology, Faculty of Management Sciences, Faculty of Science, Faculty of Social Sciences and School of General and Preliminary Studies. The University of Port-Harcourt is a university in the Nigerian city of Port Harcourt. It was established in 1975 as University College, Port Harcourt, and was given university status in 1977. UNIPORT has ten faculties which include Faculty of Humanities, Faculty of Social Sciences, Faculty of Education, Faculty of Engineering, Faculty of Management Sciences, College of Health Sciences, Faculty of Natural and Applied Science, Faculty of Dentistry, Faculty of Pharmacy and Faculty of Agriculture. The Michael Okpara University of Agriculture, originally the Federal University of Agriculture, is a federal university in Umudike, Abia State, Nigeria established as a specialized University by a Federal Government of Nigeria Decree No 48 of November 1992. The institution is located in the Agricultural Training and Research city of Umudike, about 10 kilometers from Umuahia (capital of Abia State). The major link road to the University is the Umuahia-Ikot Ekpene Federal Road, a direct route to the State capitals of Abia Akwa-Ibom and Cross River States. The first set of students were admitted into the institution during the 1993/94 academic year with a student population of 82. The nickname “Umudykes” or “U’dykers” refers to students, alumni, and sports teams of Michael Okpara University of Agriculture. The Great University of Benin – also known as UNIBEN – is one of Nigeria’s first generation federal universities. The University of Benin was founded in 1970. It started as an Institute of Technology and was accorded the status of a full-fledged University by National Universities Commission (NUC) on 1 July 1971. Following NUC’s directives, the university experimented with the Collegiate System in 1991/92 and 1992/93. 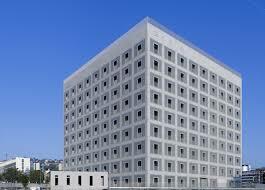 However, in the light of new developments, the university reverted to the Faculty System in January 1994. Presently, the university essentially operates the Faculty System except for the Schools of Medicine, Dentistry, Basic Medical Sciences, and Institute of Child Health, which reverted to the Collegiate System in August 1999, with a Provost as its administrative head. The faculties include Agriculture, Arts, Education, Engineering, Law, Life Sciences, Management Sciences, Pharmacy, Physical Sciences, Social Sciences, Environmental Science and Center For Entrepreneurship Study. Federal University of Technology Owerri (FUTO) is a Federal Government established post-secondary educational institution located in Owerri, Nigeria. FUTO specializes in technological education. The University is a designated Centre of Excellence in Biotechnology and Genetic Engineering and has a core competence in the development of vaccines and drugs. FUTO has nine schools which include School of Agriculture and Agriculture Technology, School of Engineering and Engineering Technology, School of Entrepreneurship and Management Technology, School of Environmental Technology, School of Life Sciences, School of Physical Sciences, School of Information and Communication Technology, School of Technology Education and School of Post Graduate Studies. The Federal University of Technology Akure (informally known as FUTA) was founded in 1981 under a drive by the government of Nigeria to create universities that specialised in producing graduates with practical as well as theoretical knowledge of technologies. It is located in Akure. Federal University of Technology Akure has been ranked the 8th best university and 1st University Of Technology in Nigeria by webometrics as at 2015. FUTA has seven schools which include School of Science, School of Earth and Mineral Sciences, School of Environmental Technology, School of Engineering and Engineering Technology, School of Agricultural and Agricultural Technology, School of Management Technology and School of Postgraduate Studies. Federal University of Technology Minna (FUTMINNA) is a Federal Government established post-secondary educational institution located in Minna, Nigeria. FUTMINNA specializes in technological education. The University is a designated Centre of Excellence in Biotechnology and Genetic Engineering and has a core competence in the development of vaccines and drugs. FUTMINNA was founded in 1983, and the first Vice-Chancellor was Professor J.O. Ndagi who served from 1983 to 1990. In the beginning, the University took over the facilities of the former Government Teachers’ College Bosso, for use on a permanent basis. This site now serves as the Bosso Campus of the University. The main campus gidan kwano which is sited on a 10,650 hectares of land is located along the Minna – Kataeregi – Bida Road. Nigerians, Beware of Fraudulent Car Dealers! Gone are those days when HIV patients were stigmatized. They are coming out bolder, healthy and living longer years. Thanks to many scientific discoveries and anti retro viral drugs (ARV). They are becoming more assertive and doing great stuffs. Do you know that there exists a restaurant in Toronto, Canada where all the chefs are HIV positive. Toronto is now home to a new, first-of-its-kind pop-up — the world’s only restaurant where every piece of food is made by someone with HIV. Organizers say the impetus was a recent poll that found that the thought of dining with somebody who’s HIV-positive still paralyzes them with fear. The survey by Casey House, Canada’s only hospital dedicated to people living with HIV/AIDS, found that nearly half of Canadians wouldn’t eat a meal prepared by someone with the disease, even though health experts say the infection can’t be transmitted that way. To combat the stigma around food prep, Casey House decided it was time to pull a bold stunt. The pop-up, called June’s Eatery after Casey House’s co-founder June Callwood, launched this week. It advertised two four-course dinners made by 14 HIV-positive chefs for $125 — one yesterday, the other today. Both of them sold out. Organizers told The Guardian that they even welcome “negative coverage,” though, as the “entire point of the pop-up” is “exposing the ignorance and blame around HIV and AIDS.” They did their best to test people, too — organizers say they mailed jars of soup prepared by the HIV-positive team to newsrooms “across Canada.” It seems they didn’t really care what became of that soup in a box, as long as it challenged media to “examine their own beliefs” before writing about the event. A newly married Pakistani woman has been arrested on murder charges after she allegedly poisoned her husband’s milk and it inadvertently killed 17 relatives, a senior police officer says. Aasia Bibi, 21, was married against her will to a relative in September in a village in the eastern Punjab province. District Police Chief Sohail Habib Tajak said the woman obtained a poisonous substance from her boyfriend, Shahid Lashari, last week and mixed it in milk for her husband, who refused to drink it. But Ms Bibi’s mother-in-law later used the tainted milk to make a traditional yogurt-based drink and served it to 27 members of her extended family, who fell unconscious and were hospitalised. Chief Tajak said a judge allowed police to question Ms Bibi for two weeks over the deaths to determine whether it was Ms Bibi’s decision to kill her husband by poisoning him, or if her boyfriend had incited her to do it. “This incident took place last week and our officers have made progress by arresting a woman and her lover in connection with this murder case, which was complicated and challenging for us,” he said. The Police Chief said Ms Bibi was not happy with her husband and wanted to return to her parents’ home. Ms Bibi appeared before a judge in the city of Muzaffargarh on Tuesday (local time), where she told reporters that she was angered over her parents’ decision to marry her to a man against her will. Ms Bibi said her love affair with her boyfriend continued after she got married. She said she had warned her parents that she could go to any extent to get out of her marriage, but they refused to allow her to get a divorce. Ms Bibi said her boyfriend gave her a poisonous substance, which she mixed in her husband’s milk, but he did not drink it. Her mother-in-law spotted the glass of milk and she mixed it in the traditional yogurt-based drink and served it to 27 people. Ms Bibi expressed remorse over the deaths, saying her target was only her husband. Chief Tajak said police were trying to trace and arrest all those who were aware of the woman’s plot aimed at killing her husband. He said Mr Lashari had also confessed to supplying a poisonous substance to the woman. Many parents in Pakistan arrange marriages for their daughters against their will, but such incidents are rare. Can you imagine summoning a former African President to perform a civic responsibility and he was not chosen? Imagine summoning former military President Ibrahim Babngida or Chief Obasanjo to perform a civic responsibility and he was not chosen? IBB was summoned to appear before Oputa panel, he refused to answer. He actually went to court to stop the implementation of the report. That singular action put a nail on the coffin of that noble objective. Nigerian former leaders are big men though. But in a saner country, the 44th President of USA was summoned, he showed up. If he had served on the panel, he would have been paid $17.20 entitled to him. Imagine that. Obama — wearing a dark sport coat and dress shirt, but without a tie — waved to people who gathered outside after hearing reports that he would be reporting for jury duty. Presumably, like other would-be jurors, Obama began his service by watching a decades-old video in which a much younger Lester Holt, who was a local news anchor in Chicago in the 1980s and 90s, explains the ins and outs of jury duty. CBS Chicago reports that his stint on jury duty was short-lived. By lunchtime, a judge had determined that the panel of potential jurors Obama was a part of would not be needed, and they were dismissed. The former leader of the free world should still be eligible to receive the $17.20 a day that jurors are paid for performing their civic duty. Obama is the highest-ranking former public official to be called to jury duty in Chicago. CBS Chicago reports Obama was previously called for jury duty at the Bridgeview Courthouse in January 2010, in the middle of his first term, but was excused because of his busy schedule at the time. He is not the first former president to be called to jury duty. In 2015, former President George W. Bush answered the call in Dallas. He was not selected to sit on a jury. And in 2003, former President Bill Clinton reported for jury duty in federal court in New York City. He also was not selected.